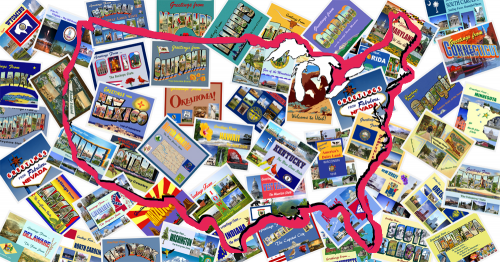 It's taken us a while, but we now have all 50 states covered, plus the District of Columbia, with our own postcard designs. Get all 51 postcards in this special set, exclusive to Legends' General Store. Free Shipping! (USPS First Class, United States only).